On Wednesday October 31, 2018, the World Bank released its annual Doing Business report, which ranks countries based on their regulations and other barriers to business activity. This year, Belize ranks 125th out of the 190 countries measured, which is a four-point decrease from the previous year’s ranking. When compared to other CARICOM countries, Belize continues to rank in the middle, after the Bahamas and ahead of Barbados. Jamaica tops the region at 75 and Haiti is last at 182. “While Belize’s rank has fluctuated over the past few years, this is not indicative of a lack of progress that is being made on the ground since policy reform and systemic improvements often require time to materialize,” said Mr. Ishmael Quiroz, Executive Director of the Economic Development Council (EDC). The EDC is tasked with promoting dialogue, meaningful communication, and partnership between the government and the private-sector with the objective of addressing economic development challenges and opportunities affecting the ease of doing business in Belize. 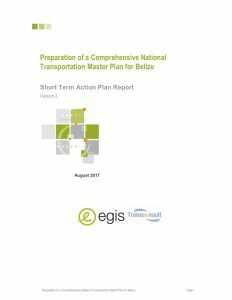 Recent accomplishments in the areas covered by the Doing Business Report include advancing Belize’s eGoverment strategy for delivering public services via online platforms, amending the Belize Building Act to clarify the roles and responsibilities of the Central Building Authority (national regulator) and those of the local Building Units (municipalities) thereby leading to greater efficiencies in applying for construction permits. The Ministry of Housing and the Central Building Authority in partnership with the Ministry of Labour, Local Government and Rural Development recognize that more work is needed to have impact on the ground and have been working tirelessly to achieve this. The Trade License regime has also been under revision with the objective of introducing standardized application and transparency thereby allowing predictability, better forecasting and planning. Yet another improvement includes the enacting of the National Payment System Act, for automatic cheque payment processing led by the Central Bank of Belize. Reforms such as these are critical for a country to receive a higher rank in the Doing Business report, however, since many of Belize’s reforms are new or ongoing, it is not until subsequent cycles of the report that they will be reflected in improved country performance. The 2017 amendment of the Belize Building Act, for example, is still not represented in this year’s Doing Business report. This is despite new regulation that requires building plans to be approved in no later than 14 days, which is a substantial reduction from the previous approval time of 30 days. Along with having to wait a long time before reforms are reflected in the rankings, the EDC has other criticisms of the Doing Business report. The report measures all economies equally against each other despite developing countries such as Belize facing very different challenges compared to economically advanced nations such as Sweden, the United States or Singapore. Also, the report’s selection of indicators has been inconsistent over the years, making it difficult to meaningfully monitor a country’s real progress. Nevertheless, the EDC supports the Doing Business report and intends to use it as a guide to inform our strategic focus. The report’s goal, after all, is to inspire regulation that is efficient, accessible, and implemented in simple ways to facilitate business activity. This aligns with the EDC’s priority of encouraging actions that improve the business climate. Being included in the report is also an effective way to put Belize on the map for people interested in investing and doing business in the country. It also encourages more robust data collection, which facilitates deeper analysis of the business opportunities and challenges in Belize. The EDC commends the line ministries, departments and regulatory agencies that are serious about reform, and invites everyone to continue to support the advancement of Belize’s business climate. Much work still needs to be done to increase Belize’s rankings in the Doing Business report and this can only be achieved through conscious and committed effort by all relevant institutions. Recent reforms, ongoing regulatory upgrades, and continued collaboration between the government and private-sector reveal a country that is eager to improve. Let’s make it happen.